Hawthorn may be helpful in some patients with heart failure. Definitive data are needed on safety and efficacy. Derived from the flower, leaves, and fruits of the plant, hawthorn is also known in Asia as Shan Zha. It is used in traditional Chinese medicine to improve digestion and treat heart problems. Hawthorn also has a long history in European medicine as a heart tonic. Studies in the lab suggest a range of anti-inflammation, heart-protective, and digestion-improving properties. Studies in humans show benefits in patients with congestive heart failure, although a few trials did not. More studies are needed to confirm safety and effectiveness of hawthorn. In addition, it should not be used in place of conventional heart failure therapies and its use should be monitored by the treating physician. 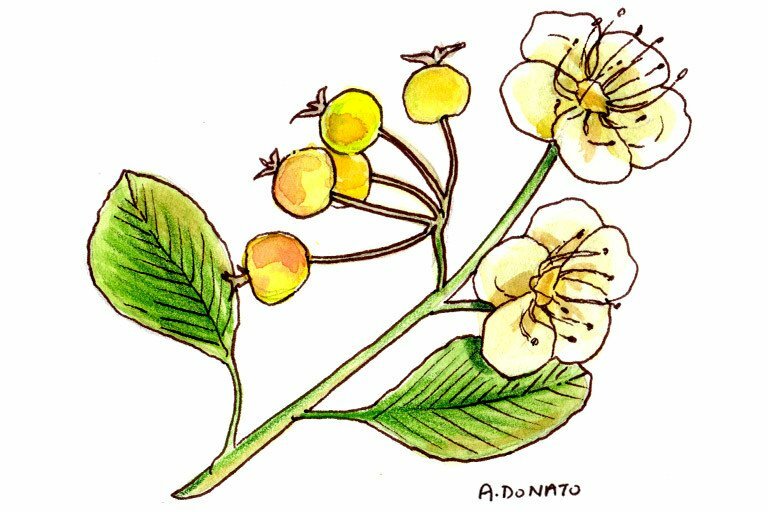 Hawthorn is used to relieve indigestion in traditional Chinese medicine, but clinical studies are lacking. In some studies, hawthorn extract used as add-on therapy was found to be beneficial in heart failure patients. More definitive data are needed. Data are conflicting. More research is needed. You are taking antiplatelets or anticoagulants: A lab study suggests hawthorn may increase the side effects of these drugs. Although clinical relevance has yet to be determined, patients taking heart failure medications should only use hawthorn under direction and monitoring by the treating physician. You are taking digoxin: Lab studies suggest hawthorn may interfere with some heart medications like digoxin. Therefore, any use of this supplement should be discussed with, and monitored by, your treating physician. Hawthorn should not be used in place of proven conventional therapies for heart failure, and its use should be monitored by the treating physician. Derived from the flower, leaves, and fruits of the plant, Hawthorn is also popularly referred to as Shan Zha in Asia. It is used in traditional Chinese medicine to improve digestion, stimulate appetite, treat cardiovascular conditions and hyperlipidemia, and invigorate blood (20) (21). Hawthorn extract also has a long history in European medicine as a cardiotonic (22). In vivo and in vitro studies suggest a broad range of pharmacological properties, including anti-inflammatory, gastroprotective, antimicrobial, and cardioprotective effects (15) (20) (23) (24). Clinical studies have shown benefits in patients with congestive heart failure (10) (12) (14), and larger long-term studies of adjunctive hawthorn also suggest benefits (25) (26). In addition, a systematic review concluded that adjunctive hawthorn improved physiological outcomes and symptom control in CHF patients (27). However two smaller trials did not find benefit (28), one of which suggested an increased early risk of disease progression (29). Studies that evaluate the hypotensive effects of hawthorn are mixed (13) (18). Although data suggest a lack of notable interactions, definitive safety data are needed (22). Hawthorn also should not be used in place of conventional heart failure therapies and its use should be monitored by the treating physician (22). Pharmacologic activities of hawthorn flower, leaf, and berry extracts are attributed to constituents such as flavonoids and oligomeric procyanidins (17) (22). Laboratory experiments suggest cardiac action of the flavonoids occurs via inhibition of the 3’,5’-cyclic adenosine monophosphate phosphodiesterase, and demonstrate positive inotropic effects by hawthorn that increase heart rate (4). Inotropic and vasodilatory effects have also been related to increased myocardial perfusion and reduced afterload (30). Antioxidant properties and inhibitory effects against LDL oxidation are attributed to phenolic compounds (31). Patients taking digoxin should avoid hawthorn (16). Avoid hawthorn if you are pregnant. Antiplatelets, anticoagulants: An in vitro study suggests hawthorn flowers may inhibit thromboxane A2 biosynthesis, which may increase the side effects of these drugs. Although clinical relevance has yet to be determined, patients taking heart failure medications should not use hawthorn without being closely monitored by the treating physician (30) (33). Digoxin: In vitro data suggest hawthorn contains alkaloids that are structurally similar to digoxin and may interfere with its action (16). However, hawthorn was safely coadministered at a specified dose in a small randomized, crossover trial of healthy volunteers (34). As clinical relevance has yet to be determined, any use of this supplement should be under the guidance of the treating physician. Cytochrome P450 (CYP) 3A4 substrates: In vitro studies suggest hawthorn may affect the metabolism of these drugs at it induces CYP3A4 by activating pregnane X receptor (PXR) (19). Clinical relevance has yet to be determined. Newall C, et al. Herbal Medicines: A Guide for Health Care Professionals. London: Pharmaceutical Press; 1996. Upton R, et al. Hawthorn Leaf with flower: quality control, analytical and therapeutical monograph. Belmont (CA): American Herbal Pharmacopoeia; 1999:1-29. Brinker, F. Herb Contraindications and Drug Interactions, 2nd ed. Sandy (OR): Eclectic Medical Publications; 1998. Werbach MR, et al. Botanical Influences on Illness: A Sourcebook of Clinical Research. Third Line Press, 1994. Tadiæ VM, Dobriæ S, Markoviæ GM, et la. Anti-inflammatory, gastroprotective, free-radical-scavenging, and antimicrobial activities of hawthorn berries ethanol extract. J Agric Food Chem. 2008 Sep 10;56(17):7700-9. Dasgupta A, Kidd L, Poindexter BJ, Bick RJ. Interference of hawthorn on serum digoxin measurements by immunoassays and pharmacodynamic interaction with digoxin. Arch Pathol Lab Med. 2010 Aug;134(8):1188-92. Asher GN, Viera AJ, Weaver MA, Dominik R, Caughey M, Hinderliter AL. Effect of hawthorn standardized extract on flow mediated dilation in prehypertensive and mildly hypertensive adults: a randomized, controlled cross-over trial. BMC Complement Altern Med. 2012 Mar 29;12:26. Chu SM, Shih WT, Yang YH, et al. Use of traditional Chinese medicine in patients with hyperlipidemia: A population-based study in Taiwan. J Ethnopharmacol. Jun 20 2015;168:129-135. Dahmer S, Scott E. Health effects of hawthorn. Am Fam Physician. Feb 15 2010;81(4):465-468. Xia N, Weisenburger S, Koch E, et al. Restoration of perivascular adipose tissue function in diet-induced obese mice without changing bodyweight. Br J Pharmacol. Oct 2017;174(20):3443-3453. Ranjbar K, Zarrinkalam E, Salehi I, et al. Cardioprotective effect of resistance training and Crataegus oxyacantha extract on ischemia reperfusion-induced oxidative stress in diabetic rats. Biomed Pharmacother. Apr 2018;100:455-460. Holubarsch CJ, Colucci WS, Meinertz T, et al. The efficacy and safety of Crataegus extract WS 1442 in patients with heart failure: the SPICE trial. Eur J Heart Fail. Dec 2008;10(12):1255-1263. Tauchert M. Efficacy and safety of Crataegus extract WS 1442 in comparison with placebo in patients with chronic stable New York Heart Association class-III heart failure. Am Heart J. May 2002;143(5):910-915. Pittler MH, Guo R, Ernst E. Hawthorn extract for treating chronic heart failure. Cochrane Database Syst Rev. Jan 23 2008(1):Cd005312. Zick SM, Vautaw BM, Gillespie B, et al. Hawthorn Extract Randomized Blinded Chronic Heart Failure (HERB CHF) trial. Eur J Heart Fail. Oct 2009;11(10):990-999. Zick SM, Gillespie B, Aaronson KD. The effect of Crataegus oxycantha Special Extract WS 1442 on clinical progression in patients with mild to moderate symptoms of heart failure. Eur J Heart Fail. Jun 2008;10(6):587-593. Tachjian A, Maria V, Jahangir A. Use of herbal products and potential interactions in patients with cardiovascular diseases. J Am Coll Cardiol. Feb 9 2010;55(6):515-525. Holubarsch CJF, Colucci WS, Eha J. Benefit-Risk Assessment of Crataegus Extract WS 1442: An Evidence-Based Review. Am J Cardiovasc Drugs. Feb 2018;18(1):25-36. Vibes J, Lasserre B, Gleye J, et al. Inhibition of thromboxane A2 biosynthesis in vitro by the main components of Crataegus oxyacantha (Hawthorn) flower heads. Prostaglandins Leukot Essent Fatty Acids. Apr 1994;50(4):173-175. Tankanow R, Tamer HR, Streetman DS, et al. Interaction study between digoxin and a preparation of hawthorn (Crataegus oxyacantha). J Clin Pharmacol. Jun 2003;43(6):637-642.